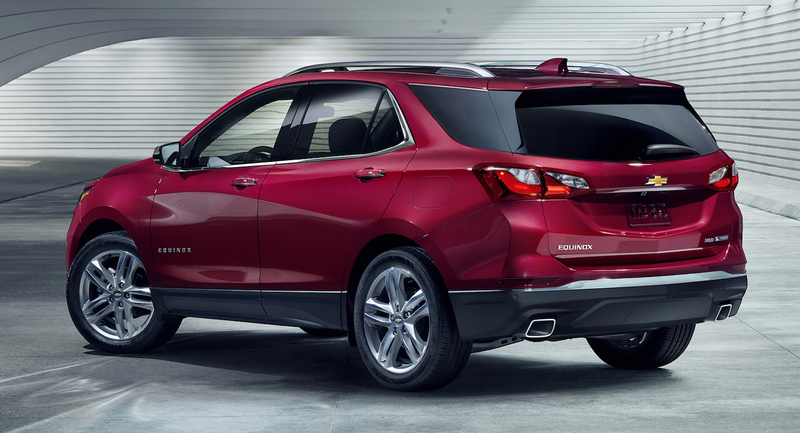 Getting a leg up on the competition, Chevrolet has given us a preview of its new 2018 Equinox SUV. Introduced for model year 2005, the popularly-sized, not-too-big/not-too-small Equinox is currently in its second design generation, having had a re-do back in 2010. The 2018 models, which will go on sale in the first quarter of next year, will be 400 pounds lighter than the current version. 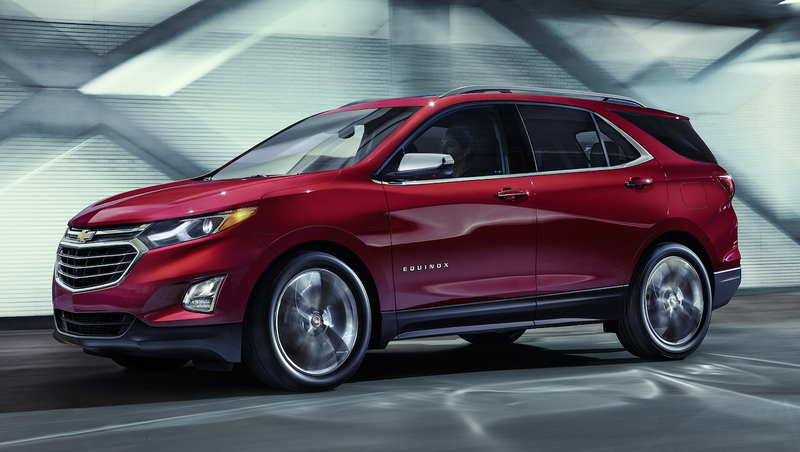 Look for design cues tying it together with other Chevrolet models, like the Cruze and Malibu, with a redesigned front end incorporating projector beam headlights, and new horizontal taillamps which, Chevy tells us, will emphasize the new Equinox’s wide stance. Expect to see the latest electronic gadgetry in 7- and 8-inch diagonal infotainment systems which will support Apple CarPlay and Android Auto. And an OnStar 4GE LTE Wi-Fi hotspot will be available. The safety stuff is also onboard in (among other things) the Safety Alert Seat which vibrates to warn you of lane departures/forward collision dangers, and the Rear Seat Reminder which (have we really sunk this low?) reminds you to look and see if you have any kids or pets in the back seat before exiting the vehicle. All 2018 Equinoxes (Equinoxi?) will be powered by one of three turbocharged engines: 1.5L, 2.0L, or a 1.6L turbo-diesel. The 2.0L engine will be mated to a new nine(! )-speed automatic transmission. The Equinox is currently Chevrolet’s second-best retail-selling vehicle, after the Silverado. The new 2018 model should help maintain that position.